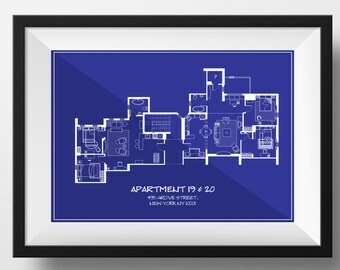 This Friends Apartment Floor Plan Art Print in Black and White an is the perfect gift for all Friends fans. 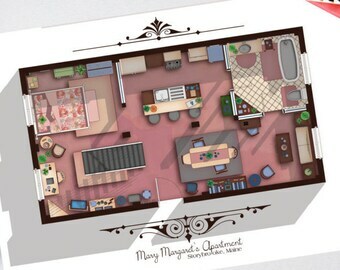 It accurately shows Monica and Rachel's two bedroom apartment interior layout along with Chandler and Joey's two bedroom apartment. It shows all tiny details of the apartment and is a great conversation starter. 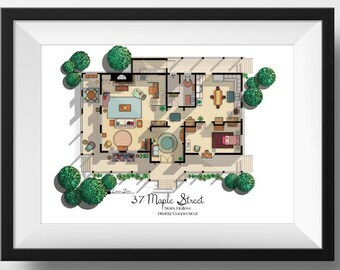 This print is created with pure love for art, architecture and tv! Hope you enjoy it just as much as I enjoyed making it! 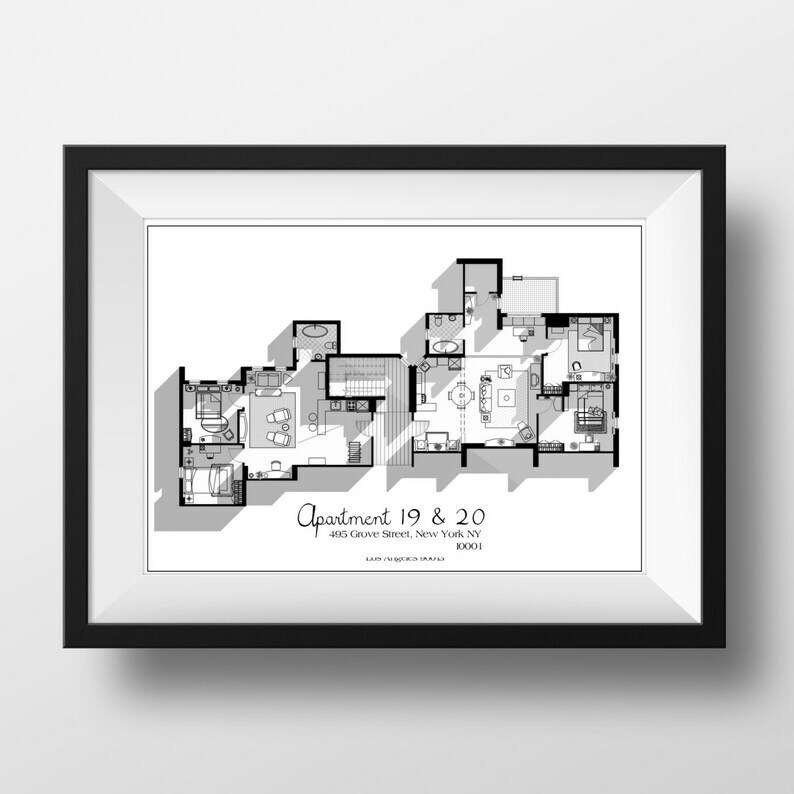 This print is reproduced from an original and expertly hand-drafted drawing and digitally colored.The art piece is printed by professional printers 160 gsm paper. Please remember that computer monitors display colour differently than on paper therefore the colour you see on your screen might be slightly different than the actual printed colour. Thanks for looking and have a sweet day! ©Copyright 2015 Shilpa John. Artist retains all copyrights to images, artwork, etc. Copyright doesn't transfer with sale. All rights reserved. Great Quality, Fast shipping. My girlfriend is a huge fan and she loved her gift. Gave to my sister who is my friends partner in crime! Loved it! These sizes fit in most standard high street frames, like IKEA. This may not apply for rush periods like Christmas.